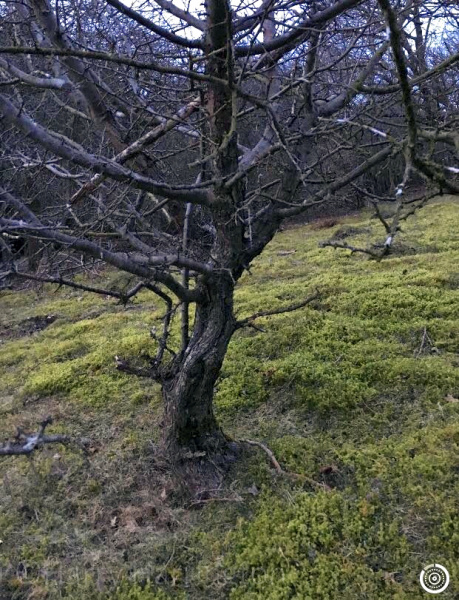 Very old yamadori Hawthorn (Crataegus monogyna) in the wild, destined to be cleared by the landowner. A big tree like this needs to be reduced in size prior to collection but with branches of 4"/10cm or more, cutting it down is not easy. Chopping down trees in the wild prior to collection is never an easy task. When it comes to large, thick trunks and branches, the job can feel almost impossible at times. 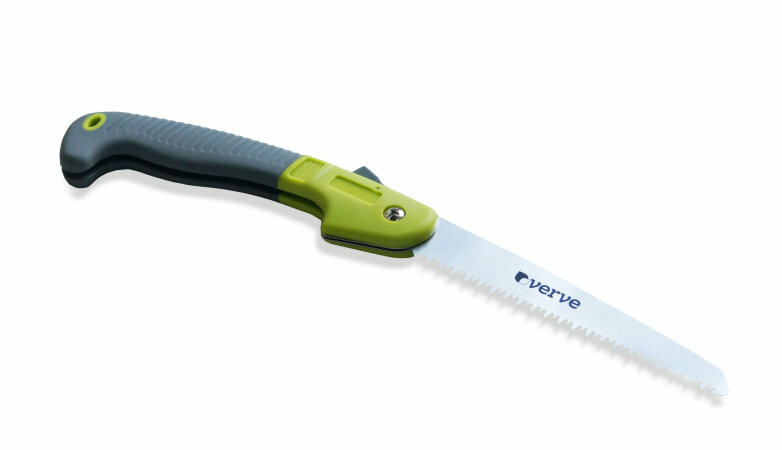 A typical folding pruning saw that is very useful for cutting down trees as well as cutting through thick roots. Image taken from the B&Q website; I tend to buy more affordable saws such as these that can be regularly re-sharpened. I have always used pruning saws that have larger teeth and are capable of cutting a branch or trunk of upto around 6"/15cm in diameter. As long as they are regularly re-sharpened they remain effective. 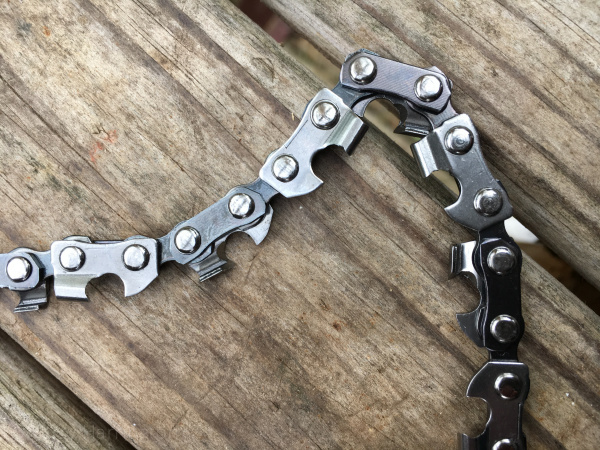 I would thoroughly recommend sharpening saws before each collecting trip, particularly if they are also used to cut through heavy roots in stony soil. The 10 minutes of preparation can make a huge difference when out collecting. A handheld chainsaw purchased online for around GBP£10. 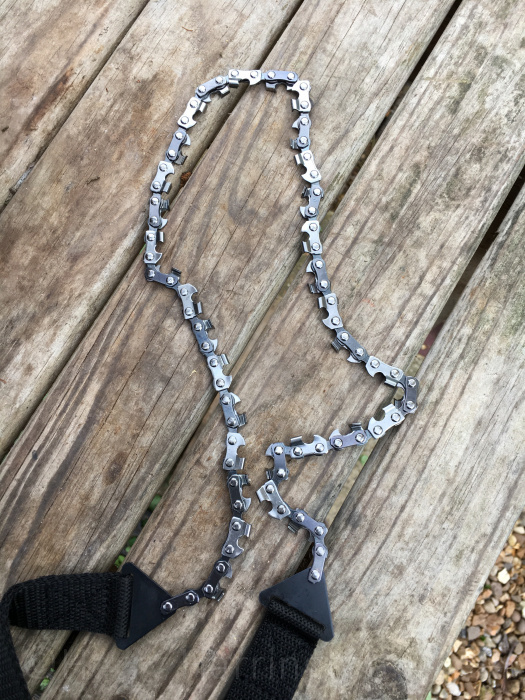 I purchased a "handheld chainsaw" online last Autumn having seen adverts online, unfortunately, when the item arrived with me I was unimpressed at its appearance and the chainsaw remained firmly in my rucksack each time I visited the hills! However, on one collecting trip, while trying to chop down a large hawthorn to size with a pruning saw that had become blunt over the course of the day, I thought I'd give the hand chainsaw a chance. And I was blown away at how effective it was, I have to admit to being shocked! The handheld chainsaw design is excellent, it can be used to cut down very thick trunks of over 12" in diameter, in very tight areas in literally under a minute (with some elbow-grease!) and doesn't seem to require as frequent sharpening. It is amazing how effectively such a small, lightweight tool can cut through wood. I have now used a couple of designs by two different manufacturers. Both have been a the cheaper end of the market and both as effective as each other but small enough to carry a couple in my pocket. 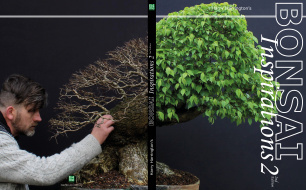 The design does rely on the wood having resistance; the saws wouldn't work for instance on bonsai, trees in pots generally or trunks and branches that have any play and are still supple. But for solid wood on trees in the ground, they are thoroughly recommended!